The jury in Sen. Bob Menendez’s bribery trial didn’t reach a verdict in its initial deliberations on Monday. The panel deliberated for about 90 minutes after attorneys gave their closing arguments last Thursday. Deliberations will continue Tuesday morning. The trial is now in its 10th week. The New Jersey Democrat is accused of accepting a plethora of donations and gifts from a wealthy friend in exchange for political influence. Both Menendez and the doctor, Salomon Melgen, have maintained their innocence. It’s the first time in nine years that a sitting U.S. senator is facing a federal bribery charge. What is Menendez accused of? Menendez, 63, accepted an abundance of campaign donations, gifts and vacations from Salomon Melgen, a Florida ophthalmologist. In return, Menendez used his position to lobby on behalf of Melgen’s business interests, according to prosecutors. Melgen allegedly directed more than $750,000 in campaign contributions to entities that supported Menendez, according to the indictment, which prosecutors said were inducements to get Menendez to use his influence on Melgen’s behalf. Prosecutors have also accused Menendez of trying to hide the gifts. Sen. Bob Menendez, D-N.J., arrives to the courthouse with his children in Newark, N.J., on Sept. 6, 2017 as the corruption trial begins. The indictment also alleged that Menendez pressured State Department officials to give visas to three young women described as Melgen’s girlfriends. What is the senator’s defense? Both Menendez and Melgen have pleaded not guilty – and Menendez has vehemently denied the accusations against him. Throughout the trial, defense attorneys sought to prove that Menendez and Melgen have been friends since before the former became a senator, and the trips were nothing more than friends traveling together. At times emotional, Menendez has maintained his innocence throughout the trial. What has happened in the trial so far? Walls had denied Menendez’s request that the trial be recessed during critical Senate votes, stating that his job should not be treated differently from that of a construction worker or cab driver. The trial has also focused on a meeting former Senate Majority Leader Harry Reid, D-Nev., set up with Menendez and former Health and Human Services Secretary Kathleen Sebelius to discuss a nearly $9 million Medicaid billing dispute. Sebelius testified in court that the incident was the first time in her role in government that she was asked by a senator to take a meeting with another senator. She said that Melgen wasn’t specifically mentioned in the meeting but that she assumed his case was the topic. Prosecutors didn’t call Reid to testify before it rested its case on Oct. 11. 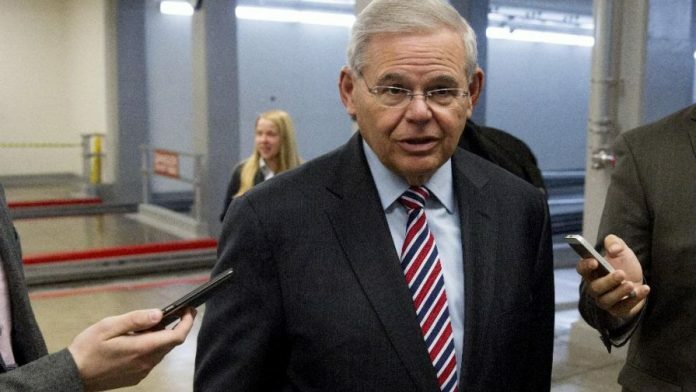 Walls declined to throw the case out despite the defense’s objections that the accusations against Menendez didn’t fit the narrow definition of bribery that was a result of a 2016 Supreme Court decision. Menendez also had a little help from his friends. Sen. Lindsey Graham, R-S.C., arrived at the Newark courthouse to testify as a “character witness” for the Democratic senator, Graham’s office confirmed. 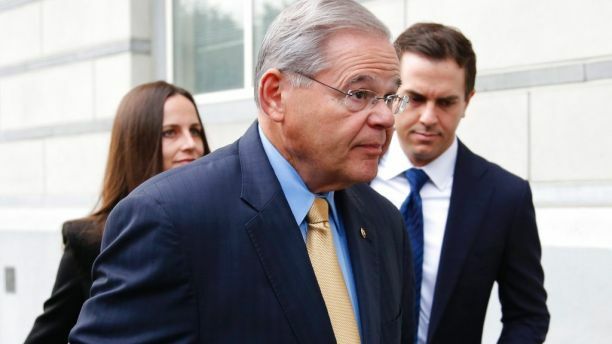 He testified about his experiences with Menendez in the Senate, “unrelated to the underlying charges,” his office said. Sen. Corey Booker, D-N.J., has also appeared in support of Menendez. Booker has attended the hearing to support his colleague before. Menendez was also emotional when he was asked by reporters about his colleagues’ support. Melgen, 63, was convicted of 67 counts of health care fraud in April in what the Palm Beach Post called one of the biggest Medicare fraud cases in the U.S.
During that case, prosecutors argued that Melgen, who was born in the Dominican Republic, robbed Medicare of as much as $105 million, according to the newspaper. His sentencing has been delayed until after this trial. 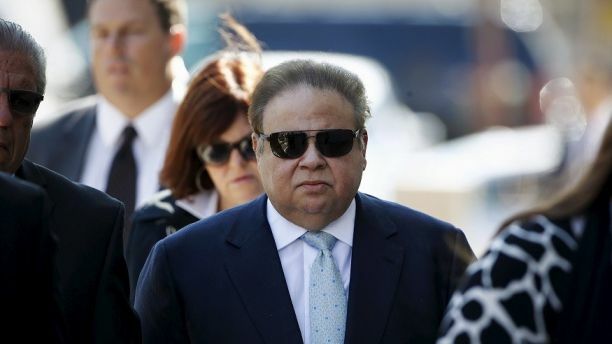 Florida ophthalmologist Salomon Melgen is accused of giving Sen. Bob Menendez, D-N.J., gifts in exchange for help with his personal and financial dealings. What happens if Menendez is convicted? If Menendez is convicted and goes to prison, Gov. Chris Christie, R-N.J., would pick a replacement. That prospect is troublesome for Democrats who fear that Christie would pick a Republican to fill the Senate seat – giving the GOP an additional edge for legislative fights. Vice President Mike Pence has said that it would be “altogether inappropriate and wrong” for a convicted felon to remain in the Senate. 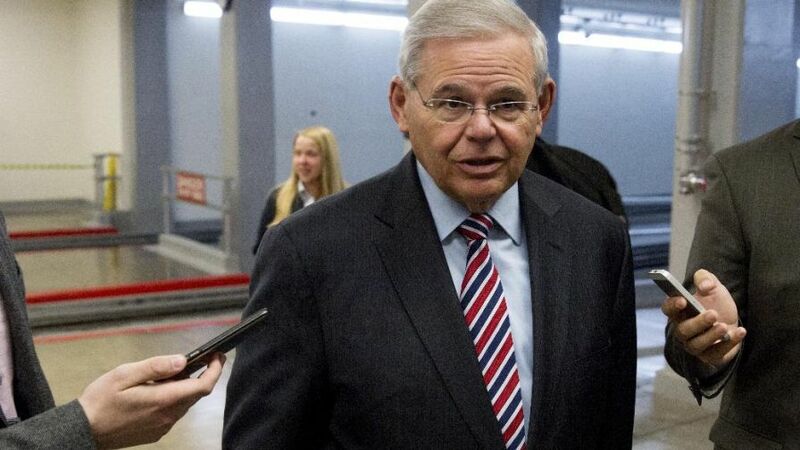 However, he said it would be a decision left up to the Senate if Menendez didn’t resign. Menendez is up for reelection next year. He was selected to replace former Gov. Jon Corzine, D-N.J., in the Senate in 2005. The most serious charges against the two men carries a maximum 20-year prison sentence. Fox News’ Tara Prindiville and The Associated Press contributed to this report.